Syd has announced an upcoming album Always Never Home for release on September 8th, according to his Twitter. Along with this, the artist has announced her first solo Fall tour. Always Never Home will be a small collection of songs that has collaborations with Gwen Bunn and Ricci Riera. There is currently no official tracklist listed, but a single “Bad Dreams/No Looking Back”. The tour dates begin from October 7th in Atlanta, Georgia until December 7th in Los Angeles,California. 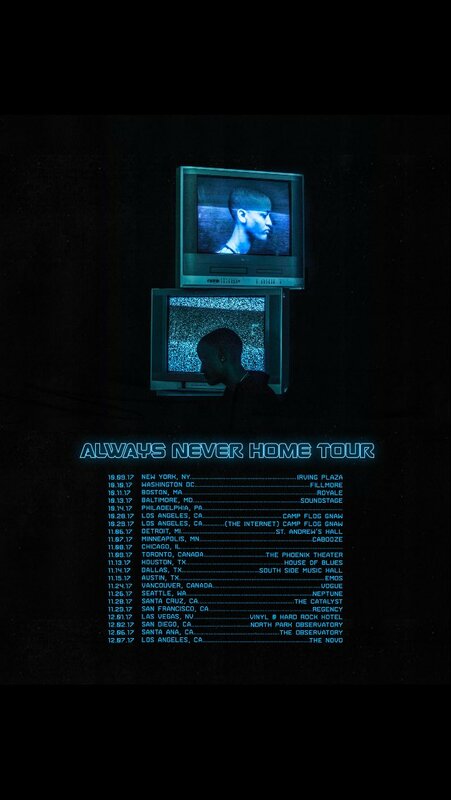 According to the press release, the artist has called this tour “Always Never Home”. This tour will be a North American tour that mainly takes place in the United States, with one date in Vancouver. There are many dates in Los Angeles that will feature Syd solo set on October 28th and THE INTERNET, also known as her band, set on October 29th. The first tour date will also have a set by the THE INTERNET. The tour dates and artwork are listed below.